​Jesus always said, “Go and sin no more”. Ok Jesus, what do you mean? 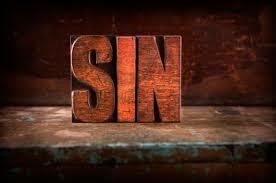 What is sin? Many have heard that Jesus came to forgive our sins but what did that mean? I think first I have to define the problem then we can talk about how to solve it. Sin is anything that God has said don’t do and we do it anyway. We call it missing the mark as if we were throwing darts and miss the board. We call it falling short of God’s best and it is that too, however as human beings we must realize that sin is what Jesus paid the price for with His life. Sin is a disruption in the Kingdom of God. Sin is what God hates. We live in a culture where the concept of sin has become entangled in legalistic arguments over right and wrong. When the idea of sin comes up, we think of violations of the Ten Commandments. Even then, we tend to think of murder and adultery as "major" sins compared with lying, cursing, or gossip. In truth, sin is sin, not less or more, it is just sin. It is sin that puts a separation between you and God Isaiah 59:2. Let me try to define it this way. There was a carpet cleaner from Atlanta, Georgia that had the responsibility of keeping the carpets clean in all of the Assembly of God Churches in Atlanta. He and his crew arrived at a particular location and the men started setting up the equipment. He left to go somewhere else and when he returned he saw the men putting the equipment away. He knew they didn’t have time to finish the job so he entered the house to find dirty areas. He stood over a particularly dirty area and called his foreman over. He told the foreman to look down and tell him what he saw. The foreman said, “Dirt”. He said, “I’m glad you called it the same as me for if you didn’t we could not work together”. This is what God tells us. If we try to excuse ourselves by calling it something else, we can’t work together with God either. The Bible says, “All have sinned and fall short of the glory of God. Romans 3:23". And in Romans 6:23, “The wages of sin is death . . .”. So, if all have sinned and the price you pay is death (speaking of spiritual death) then what hope do we have? Thank God He loved us so much that He was willing to wipe our slate clean. I don’t mean that He would excuse our sin for decisions require consequences, but He would pay the price of sin, and that was the death of His dear Son Jesus. Since He set the laws, and He will not go contrary to them, that meant that someone had to die, and that was Jesus. You might say, “Why have all fallen short, as the bible says”? When the original parents Adam and Eve sinned by eating of the tree of the knowledge of good and evil, that sin passed down through the bloodline to all humanity. So, we were all born in sin. To prove that point just look at a young child’s reaction when they don’t get their way. Ok, so all have sinned and deserve to die, then why not just stop sinning? Well, we were born into this sinful world and were surrounded by it all our lives so it just becomes natural with us. Then, is there a hope for us? Yes, just call on the name of the Lord Jesus Christ and put your trust in Him and ask Him to forgive you and He WILL! Now that’s good news. To have the knowledge that when we die we will go straight to heaven instead of hell is wonderful. The origin of sin came when Lucifer (Satan, the Devil) decided to exalt himself by telling God he was as powerful as God. He was referred to here in Eze. 28 as the king of Tyre but it is clear to whom He is speaking. Lucifer was the beautiful anointed cherub and his pride got him in trouble. God said that He would use strangers to put him down to the pit and I believe these strangers are Christians in the last days. As an unbeliever, you have no power over Satan and his wiles but, if you accept Jesus, then Jesus will give you all power over all the power of that evil one Luke 9.